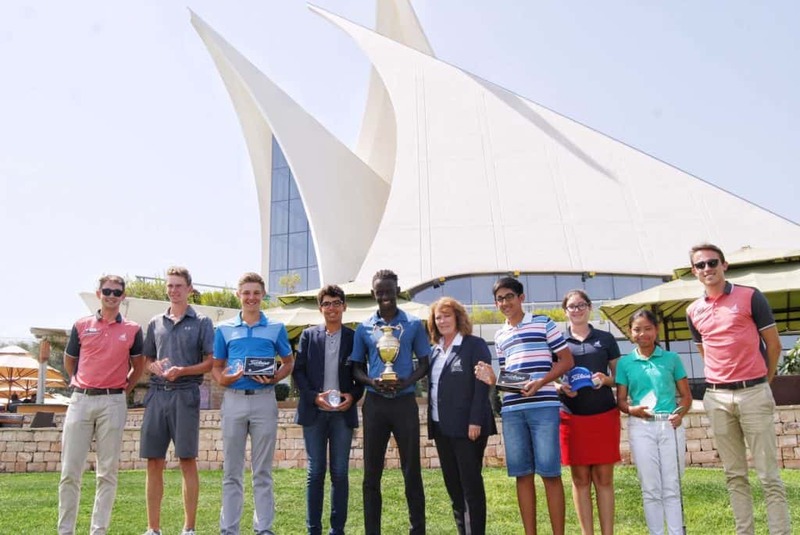 The UAE’s golfing talent was once again beamed to a global audience last month with Dubai-resident, and 18 year old golf sensation, Bradley Mogire going toe-to-toe with the stars of the European Tour at the Magical Kenya Open – the first European Tour event to be held in the East African country. Here, the Kenyan-born amateur, who has won numerous titles in the UAE, including four Junior Open trophies, talks exclusively, in his own words, to Worldwide Golf’s Thomas Wragg, about his time in Nairobi and his golfing journey so far. Playing in the Magical Kenya Open last month was such a wonderful experience that was made even more special by knowing that I was part of history with Kenya hosting a European Tour event for the very first time. The journey to qualify began last October when I entered the Kenya Amateur. Finishing first would have guaranteed me automatic entry into the tournament, but, unfortunately, I narrowly missed out and finished runner-up. But that wasn’t going to stop me from achieving my goal. Following that event, I kept flying between Dubai and Kenya, where I played a couple more tournaments throughout the season and enjoyed some good results including a bunch of top five finishes. 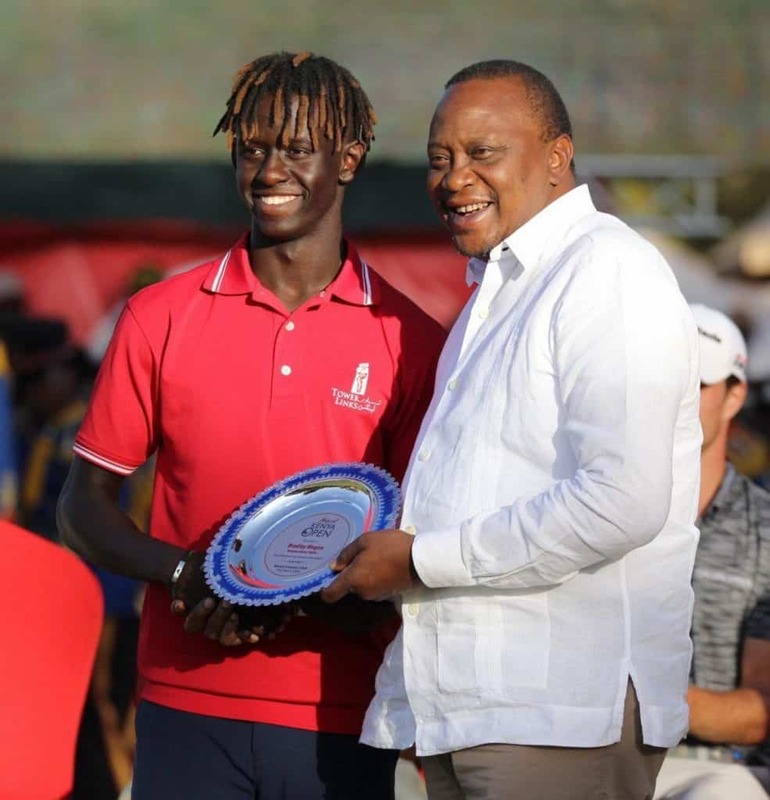 By the end of the season my results led me to racking up enough points to be named Kenya’s Top Junior and therefore booking my spot alongside the stars of the European Tour in my home country. I arrived in Kenya the week before the Magical Kenya Open kicked off with my family and my coach Joe Marshall from the Claude Harmon III Golf Performance Academy. This was the first time I had brought my coach to an event so it was a different approach but he really helped me settle in and gave me plenty of insight into what is required in terms of preparation for tournament week. PRESIDENT OF KENYA UHURA KENYATTA PRESENTS BRADLEY WITH AN AWARD FOR PARTICIPATING IN THE MAGICAL KENYA OPEN AS A JUNIOR AMATEUR. My first-round tee time was 7:30am so I got to the course two hours before and everything seemed so surreal! I wasn’t as nervous as I thought I would be when I teed off because my father was giving me a lot of encouragement and building my confidence which helped me stay focused. It was an incredible experience when I saw all my family and friends that had come to Karen Country Club to support me on what was a special day for Kenyan golf. It was a great week and despite missing the cut I gave it everything I had to make myself and my family proud. I played with Sebastian Gross and Bernd Rithammer and they were really cool guys; I was really pleased when I heard they would be part of my three-ball. They’re two great players and I was able to compare myself to them and see where I needed to improve and get a feel of what is required to get onto the European Tour. The main thing I learned from them was the ability to recover from a bad swing or shot. 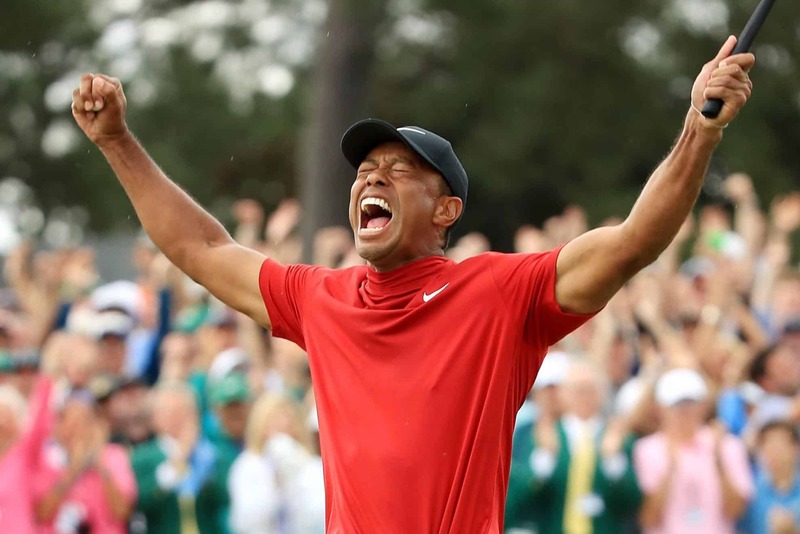 The worst they will make is bogey or double bogey but at the next hole they will shake it off and act as if it never happened. That was a real eye opener for me and something that I definitely need to implement in my game as the mental aspect of golf is one of my weaker points. 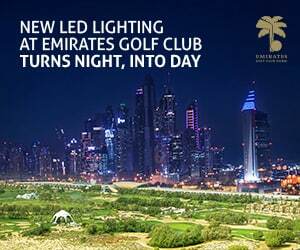 I’ve been a member at Emirates Golf Club since I was four years old but I didn’t actually start playing until I was 12! I just used to go down to the club to have a swim, play on the bouncy castle and eat cotton candy! My dad introduced me to the game when I was seven but I wasn’t interested because back then I wanted to become a professional football player. I always used to think golf was really lame. One day my dad challenged me to hit the ball further than he could on the driving range and I accepted. He obviously hit it further than me but that really spurred me on to beat him and get better at my game. Every time we practiced after that I just wanted to beat him and hit it as far as I could. I would swing out of my shoes to try and hit it that little bit further! I gradually got better and better and at 14 I could outdrive my dad and that’s when I started to think I could be a professional golfer one day. The following year I started playing in tournaments and travelled to Pinehurst for the Teen World Championship which made me realise how big golf was around the world and not only in Dubai. I’d never seen so many junior golfers in one place competing for a big prize – this was the serious stuff. I’ll never forget standing on that first tee; I was shaking all over and I got my three wood out and stone cold topped it! I put my hand up to my dad and it was just shaking, it was crazy how nervous I was. I missed the cut at that tournament three years running but managed to finish 11th last year and got to play on the famous No.2 course where they have played the U.S. Open so it worked out in the end. THE YOUNGSTER GOT HIS HANDS ON THE 2018 DUBAI CREEK JUNIOR OPEN TROPHY AFTER POSTING AN IMPRESSIVE TWO UNDER PAR 69. I won a golf scholarship at Wagner College in Statten Island which is just off the coast of New York and I’ll be starting there in August. I’m really looking forward to getting out to the States. I’ll be there for four years playing college golf while studying finance and we will see where we go from there but I’m aiming to be a professional golfer after graduation. 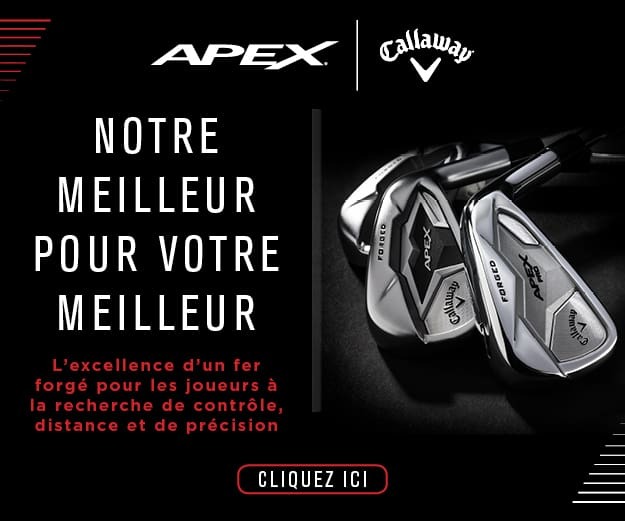 I want to get my European Tour card and play all the big tournaments in the Middle East especially the Omega Dubai Desert Classic as I’ve grown up at Emirates Golf Club so that would be really special for me. Me and Rayhan Thomas are really good buddies and playing with all the fans watching at the Desert Classic, like he has done, is something I would love to experience one day. I’d also love to go back and play the Magical Kenya Open again as a professional, that would be really special. My mum, dad and sister are a huge part of my golfing story and have always supported me every step of the way. My dad got me into golf but they all motivate me and give me words of encouragement when I’m not playing my best golf. My dad has always been my role model –growing up, I always wanted to be like him and I feel very blessed that I have such a supportive figure in my life. They all come and watch me play across the world and my sister also plays so if there is a female category she usually enters and we make a family holiday around it which is pretty cool. We are a close-knit family and each of us want the best for one another. There are so many great opportunities for golfers out here in Dubai, especially up and coming players. The weather is fantastic so you could play 365 days a year if you wanted to, although you might get cooked alive in the summer! We have so many world class courses in the region that give players a great opportunity to hone their game and there is a lot of healthy competition between players. Josh Hill, Arjun Gupta and Toby Bishop are three very talented youngsters that all want to beat each other and that has helped push them to be the best they can be. It’s great to see the friendly rivalry and it can only be a good thing for golf in Dubai. We’re also lucky to witness the world’s best players in Dubai twice a year at the DP World Tour Championship and Omega Dubai Desert Classic, which helps grow the game. I thought it was fascinating watching Bryson DeChambeau destroy the field this year at the Desert Classic. His approach to the game is very unorthodox but it works extremely well for him and I think it’s really cool to see someone with such a unique view on golf. It was pretty special to watch. Honestly, I’m not too concerned with winning Majors or anything like that. My focus is to get to a level where I can bring up talent in Kenya and help golf grow there because I believe more needs to be done to improve players. There are a lot of junior golfers that have a lot of natural talent in Kenya but they aren’t being given the correct coaching to take them to the next level. If they grew up in the UAE I genuinely believe that most of them would be superstars. If I could open an academy in Kenya and be a role model to junior Africans that would mean the world to me and tick all the boxes.